If you are someone who doesn't love to spend a ton of money on fashion, handbags constitute, unfortunately, a grouping of items that take a huge hit. What we mean by that is when shopping for the best-looking yet affordable items available, handbags are not necessarily high on the priority list. Because it's just an accessory, right? Wrong. No matter how exemplary your outfit may be, draping a subpar bag over your arm will bring your overall look down faster than you realize. Never let the above scenario even be an option when it comes to putting the finishing touches on your look. To ensure you are consistently polished, especially when it comes to your handbag, we are here to prove to you that these hand-held accessories don't have to cost you the designer prices you think they do. Every bag in this story is under $100. That's right—affordable to the max, and that's not all, as each one's satisfying price tag equally aligns with its covetable style. Keep reading to shop the best handbags under $100! 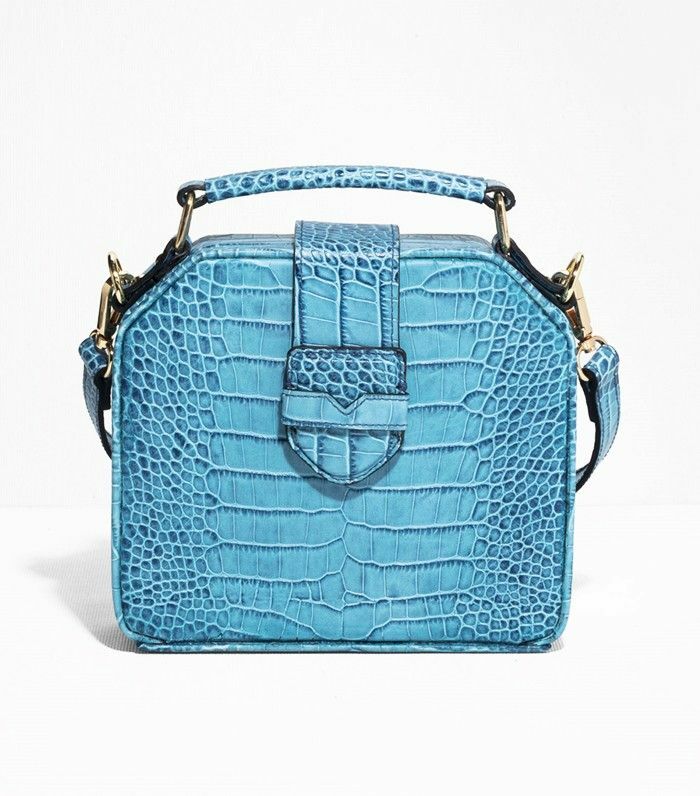 The croc detailing on this bag looks so expensive. Stuff everything you need and more into this roomy pouch. Let this sleek shoulder bag be your new go-to. Your basic tote just got a whole lot more fun thanks to this fringe detailing. From the shape to the color, there is nothing not to love about this unique bag. This bucket bag feels forward due to it's more open top. Everything is cute when it's miniature. You know the bag in our opening image? This is the one. This shoulder bag can also doubles as a clutch if you tuck the straps in. Make a statement in a huge way with this tiny bag. Another neutral go-to that will pair well with a variety of color shades in your wardrobe. Where are some of your favorite places to shop for affordable handbags? Let us know in the comments below!